I won these two gorgeous books (signed, plus signed swag) from Anna Banks. She's having a weekly giveaway to celebrate the upcoming release for Of Neptune. 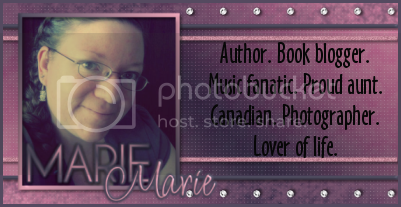 There are still weekly chances to win, so be sure to check out her blog and enter. The awesome people at Simon & Schuster Canada sent me this as a thank-you for helping promote their big winter giveaway. I got these for $1 each at my library's bookstore. I'd never heard of Dust and Shadow but the 'An account of The Ripper Killings by Dr. John H Watson' caught my eye and I stood in the bookstore squeeing. Sherlock + Jack the Ripper? Two of my borderline unhealthy obsessions. This book was practically written for me. Also I've heard amazing things about The Raven Boys, so how could I resist? As You Turn Away is the debut novel of one of my besties (and it's only 99 cents right now); Bewitching is a Kindle Monthly Deal ($1.99 - it sounds great! ), and I've had my eye on The MacKinnon's Bride for awhile and I managed to get it as a freebie, which was exciting! Waiting for the Storm and After the Storm swag! VistaPrint had a site-wide sale a couple weeks ago so I ordered postcards, stickers, mini bookmarks, and address labels (which aren't in the pic). My Street Team members will be the first to get swag packs (want to be part of my Street Team? 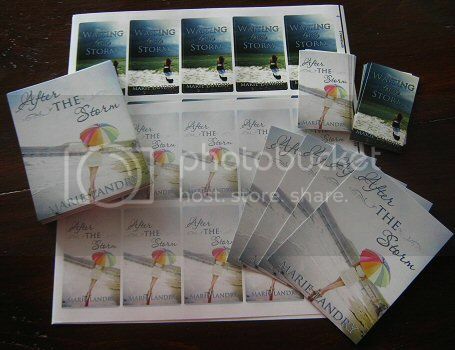 Find out more info here), but I'll be doing some giveaways soon leading up to the release of After the Storm next month. I talked about the release of Molli Moran's debut novel, As You Turn Away, and I'm giving away a copy! This week is Read an Ebook Week. To promote reading (specifically reading ebooks), Smashwords has a promotion where authors can opt in to provide their books at a discount. I've enrolled all four of my books, so from now until the 8th, all my books are 50% off. If you'd like to take advantage of the sale, go through the checkout process, and in the coupon area, put REW50. My books: Blue Sky Days, The Game Changer, Waiting for the Storm (this would be a great time to get WFTS so you can read it before After the Storm comes out next month), and The Most Wonderful Time of the Year. Check out all the discounted books here - there are tons of books for 25%, 50%, and 75% off, and there are also a bunch for free! I always love seeing your reading lists! So many great additions for my TBR.